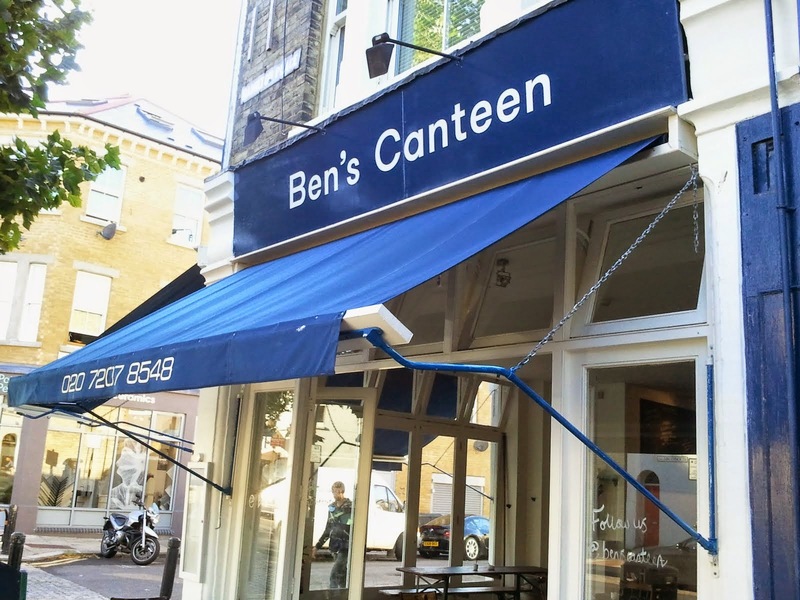 Ben's Canteen is one of those places that instantly makes you feel at home. Those in the know (and living close to and around St John's Hill will be familiar with the blue awning leading into the reclaimed and stripped back wood interior. 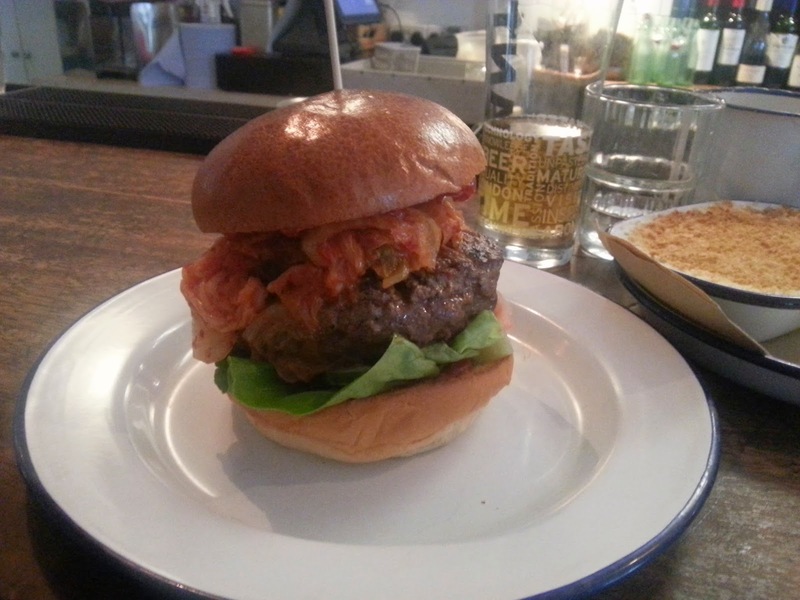 The K-Town burger sits imperiously on the plate, piles of kimchi poking out under the shiny demi-brioche bun. It's a loaded burger and satisfyingly fills up the blue-enameled plate it sits on. It's a marked improvement on their previous burger presentation. Uh-Maz-Ing. There is some serious chemistry going on in this burger, and the key to this are the layers of spice and umami that work together in almost perfect harmony. 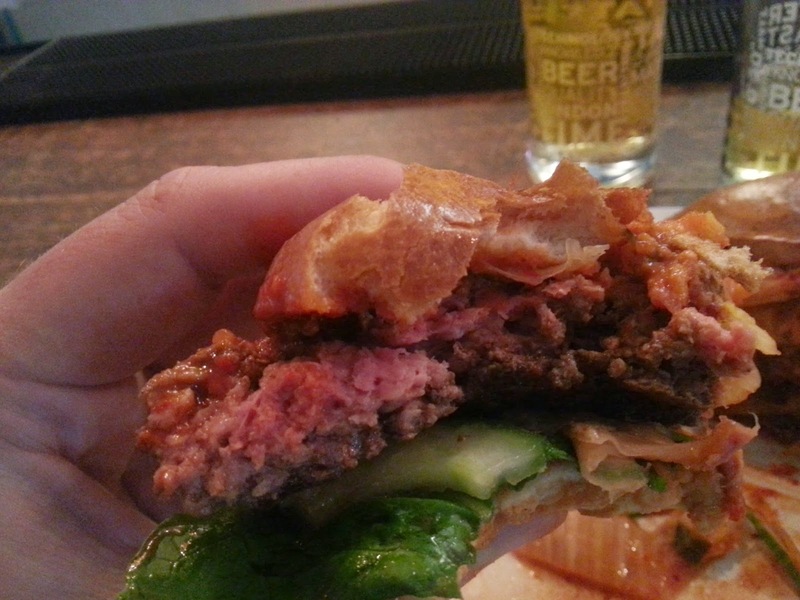 First off the kimchi is sharp, spicy and juicy, and it's piled on top of the patty in spades. Underneath the burger is a layer of pickled ginger and cucumber which add sweetness and crunch to the mix (although the pickled cucumber could have more vineagar as the flavour is lost against the kimchi and spicy korean tomato). It's the gochujang (spicy bean paste) mixed with ketchup that adds the final glorious touch to the burger, with a huge hit of umami and a soft, lingering spiciness on the palate. Meat Win. The meat Ben's Canteen use in their burgers is the same patty used by Patty & Bun, supplied by butcher HG Walter, but with one small difference - they add chopped mushroom into the ground beef mix, which I considered an odd choice...until I tasted it. The caramelisation of the mushroom with the beef adds a subtle earthy/umami hit to the beef and makes it instantly moreish. It also juices the whole thing up to the max. Burgers are cooked medium unless requested otherwise (so make sure you request it) and the med-rare is on point. 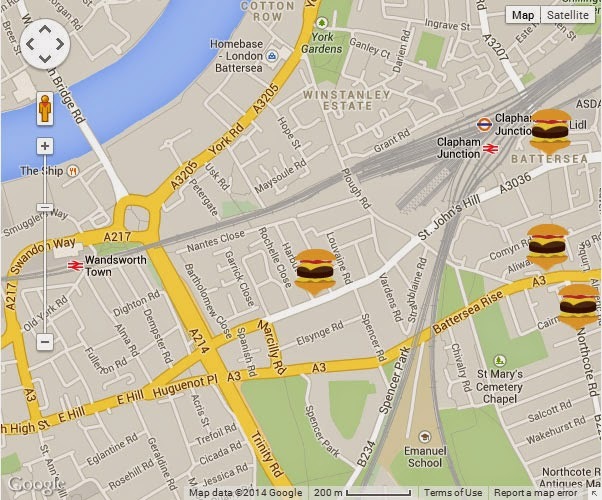 The Bun is the same Millers demi-brioche used by a range of burger restaurants across the capital. 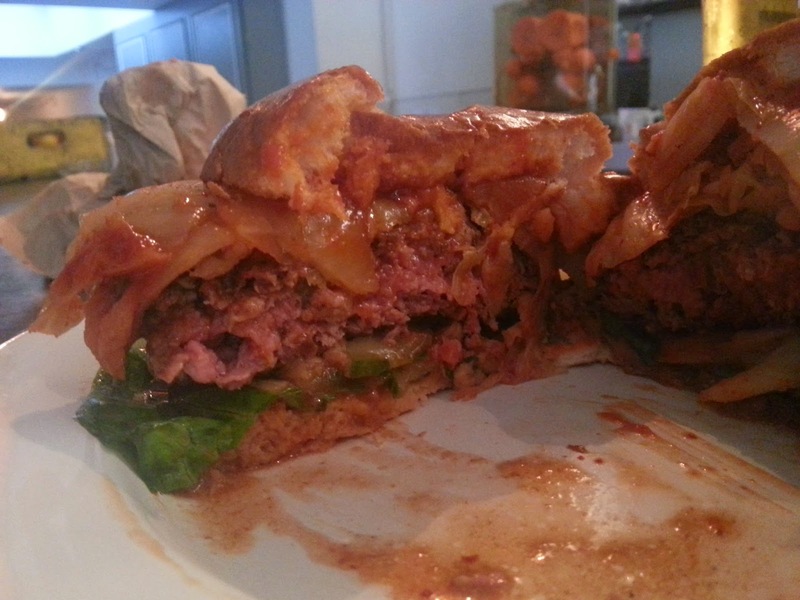 It 'almost' doesn't contain the huge amounts of juice and sauce this burger gives out...but it just about holds out. No problems here. Yeah, I went a bit mad with accessories, sampling the mac 'n cheese, deep fried pickles and crinkle cut fries. 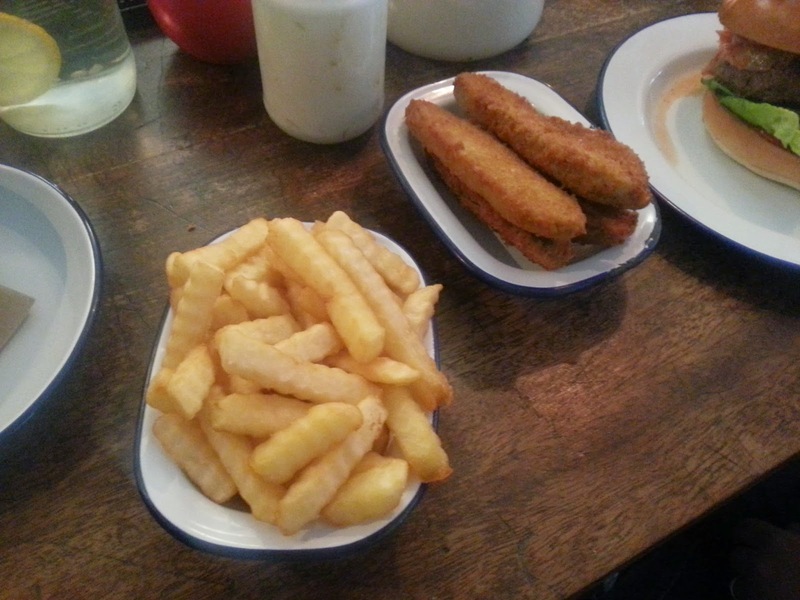 Pickles are pretty good, interestingly going for breaded rather than the MEATLiquor-style battered, as are the crinkle cut fries, which I hadn't noticed before but make brilliant vessels for spooning mayo into your mouth. 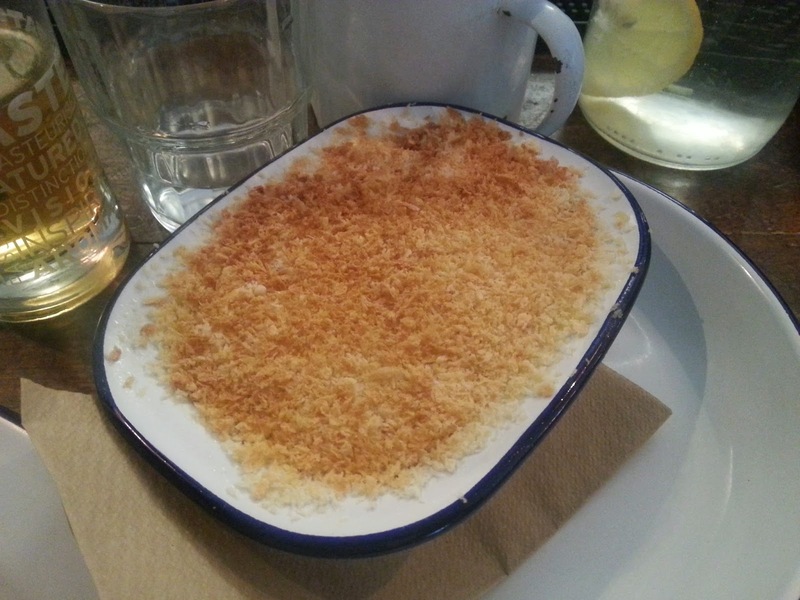 Mac 'n Cheese was good, but a touch on the dry side.